So, it turns out that we are dealing with worm castings. I heard back from the environmental experts in my area who told me all about the excrement of the worm. Never in my life would I have thought I’d ever type a sentence like that. See, you get into hobbies like gardening, thinking “I want to grow vegetables and maybe some peonies.” It’s really not that simple, though. If you want a well-performing garden, you have to dive into topics like compost, and what I would call the “down and dirty” part of gardening. Can I tell you how happy I am to know it’s just worm castings? Obviously, I’m thrilled that I don’t have an infestation of rodents. I really don’t know how I would have handled that. If a blog could cry, you’d have seen tears shooting out of your computer screen. 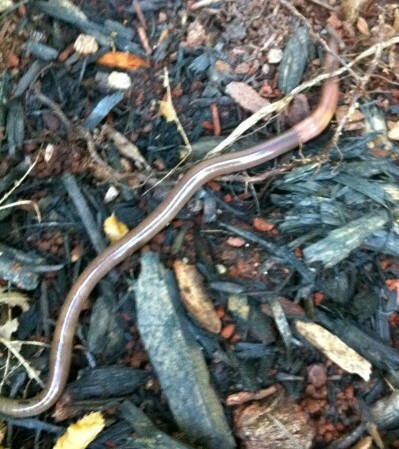 What I am most happy about is that my gardens are filled with earthworms. That is a sign that I am doing something right. I don’t use any chemicals in my gardens- just organic fertilizers and compost. Sometimes it’s tempting to find a quick fix to combat aphids or other pests, but I just feel like it would be defeating the purpose of growing my own veggies. Beyond that, it’s pretty fascinating to look at what is going on in the subterranean. When the environmental dude got back to me, he explained that worms ingest soil and excrete it on the surface. In my garden’s case, there is a layer of red mulch underneath the garden soil, compost, and black mulch that I have added over the years. 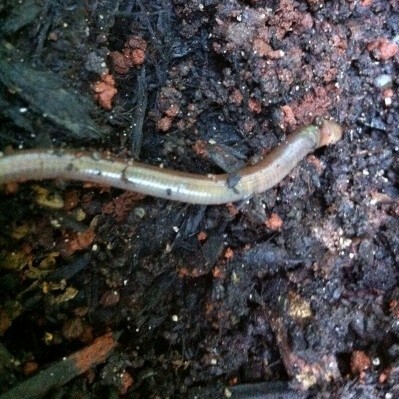 The worms are basically turning the soil over. These slimy guys manage to do a lot of work through their wiggling. By digging tunnels, they are improving drainage, aerating the dirt, and then they leave behind this “vermicompost.” What’s crazy is that the worm castings continue to do more work for the soil- they slowly release what some believe to be the purest form of plant food. The castings contain micro-bacteria that naturally fight off fungus, promote a healthy root system, and encourage plants to fruit and flower. From what I read, when you add compost to your gardens- you are feeding the worms, and then the worms will leave behind castings that will provide plants with the very best nutrients. Go worms! In my worm poo research, I also discovered that there are tons of businesses out there that sell worm castings! There are earthworm farmers. People make their own worm casting compost by using kitchen scraps, etc. I’m not about to get into any of that- but this was a good lesson for me to look below the surface of the dirt and appreciate what all those creepy crawlers are doing. Nature is pretty cool, and maybe doesn’t need as much intervention as we think. So for me, the takeaway is- feed your worms. 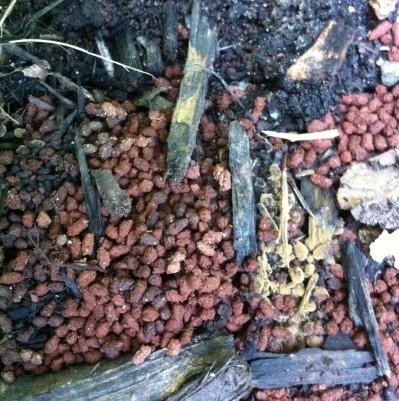 Oh, and ain’t that a beautiful pile of worm poo! Go ‘head wormy- do your thing! This is a follow up post to: Well, ain’t that a pile of crap? Well, ain’t that a pile of crap? Friends did worm boxes. It’s super easy and you can put stuff in there you can’t in other composting Actually went to a class once about it at fort lewis’s woman’s conference! I think you should do it. One lady had boxes on her deck that people could sit on!